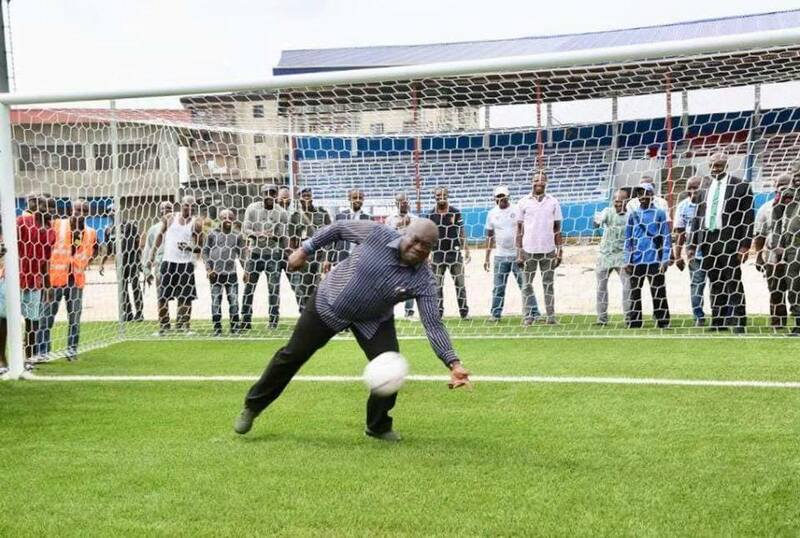 The Governor of Abia state, Okezie Ikpeazu today showed off his skills as a good goalkeeper, when he manned the goal post for a brief interaction with the ball. He made a good save by stopping the ball shot by ex-super eagles player, Uche Okechukwu. Meanwhile, the Commissioner for Information in Abia, John Okiyi, said Enyimba International Football Club of Aba would return to their home ground of Enyimba International Stadium in Aba in September. Okiyi told newsmen in Umuahia that the stadium would be ready in September when the reconstruction of its playing turf had been completed. He said the installation of a new turf, worth one million euros (about N450 million), had been 98 per cent completed. The News Agency of Nigeria (NAN) reports that the contract is being handled by the Yenagoa-based Monimichelle Group. 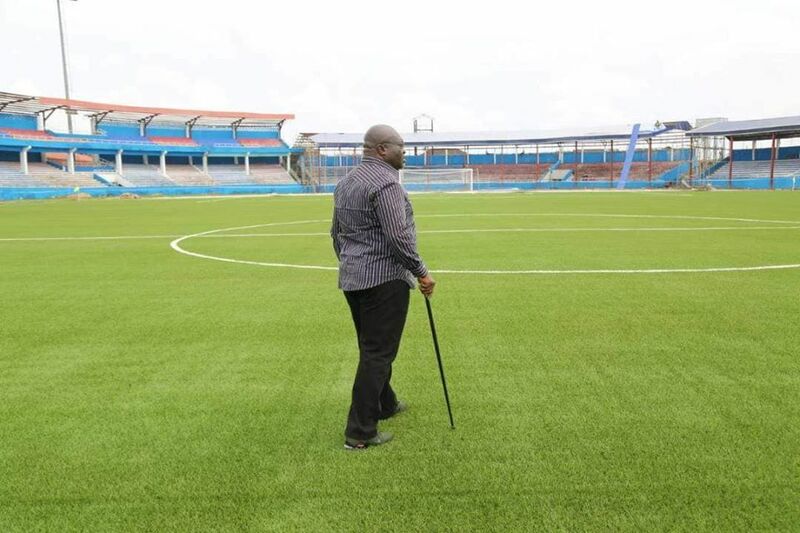 The commissioner however said while the pitch was almost ready, the entire work in the contract had reached 80 per cent completion. He said the other works in the contract included the construction of tartan tracks and re-roofing of the spectator stands. 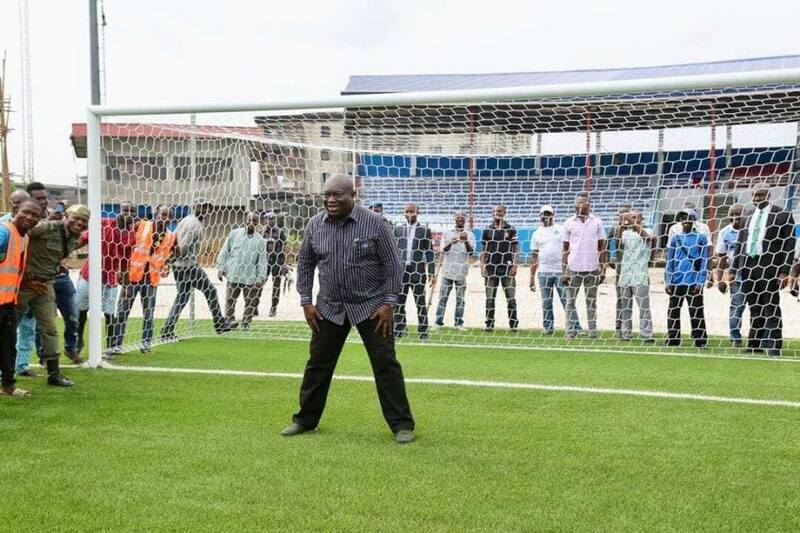 0 Response to "Governor Ikpeazu Showcases His Goalkeeping Skills At Enyimba Stadium (Photos)"